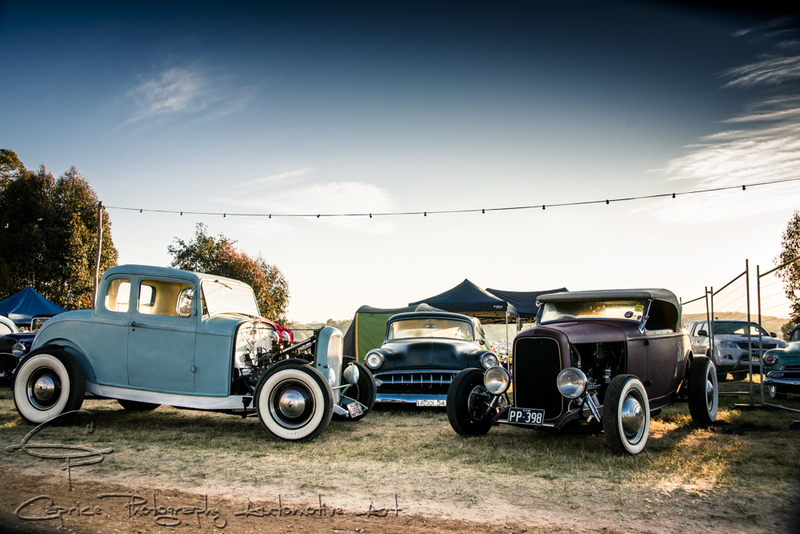 A rev head’s car fest like no other! The newly established AFL Grand Final public holiday on Friday, October 2nd permitted Victorians to take a long weekend with many old school rockers and rodders finding their way early to Newstead in central Victoria for the 11th Chopped festival. 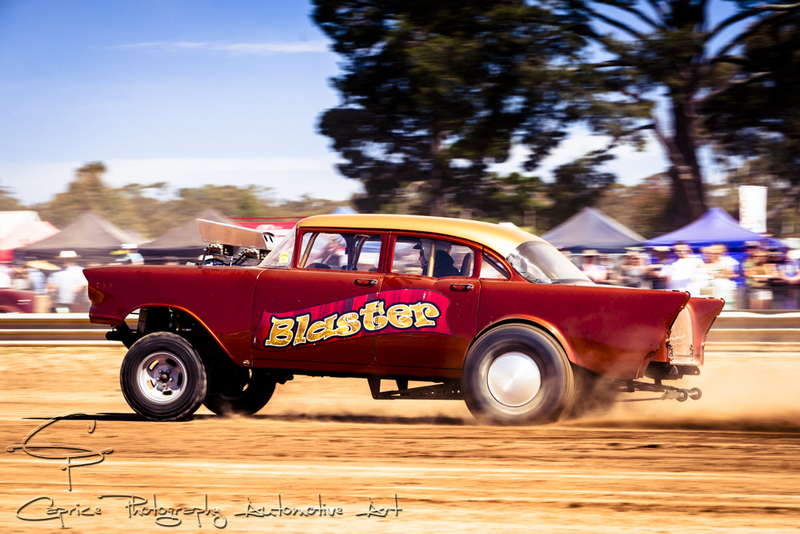 With the basic premise for the event to be pre 65 rides and no billet, there’s always an interesting array of rat rods, hot rods, wild customs and radical creations to be found throughout the vast Newstead racecourse. With temperatures hitting the 30 degree mark over the three day event, dirt quickly turned to dust bringing visions of Mad Max as rusty hulks with straight out pipes battled on the track for supremacy over chopped and channeled flamed customs while the biggest ever Chopped campsite with its many smoky campfires resembled a nomadic city as far as the eye could see. 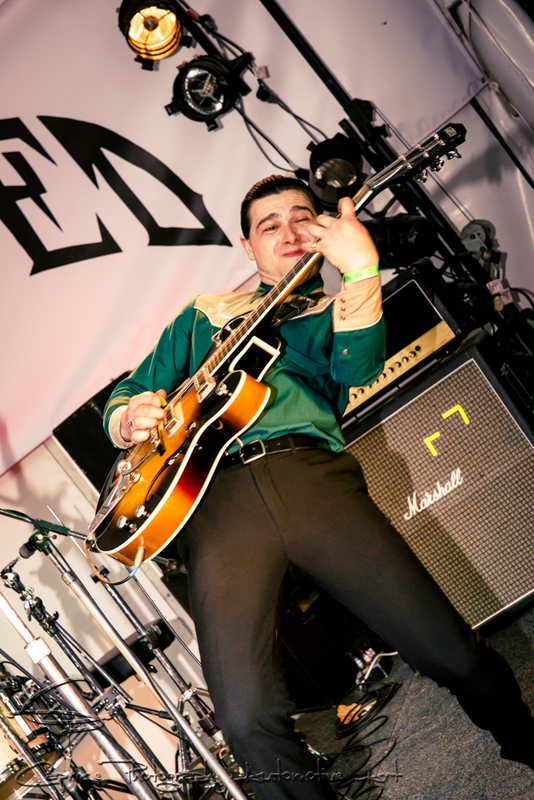 Hard rock pounded out across the acres of motor mayhem as campers and day trippers took in the vehicle displays, trade stand alley and bars, sprint racing and general idiosyncratic behaviour that makes Chopped what it is. There’s no rest for the wicked either as night time just means more party time and sleep will fit in where it can. That’s camping Chopped style! If you enjoyed viewing this post, then sign up and receive more great articles like this straight to your inbox! It doesn’t get any easier! 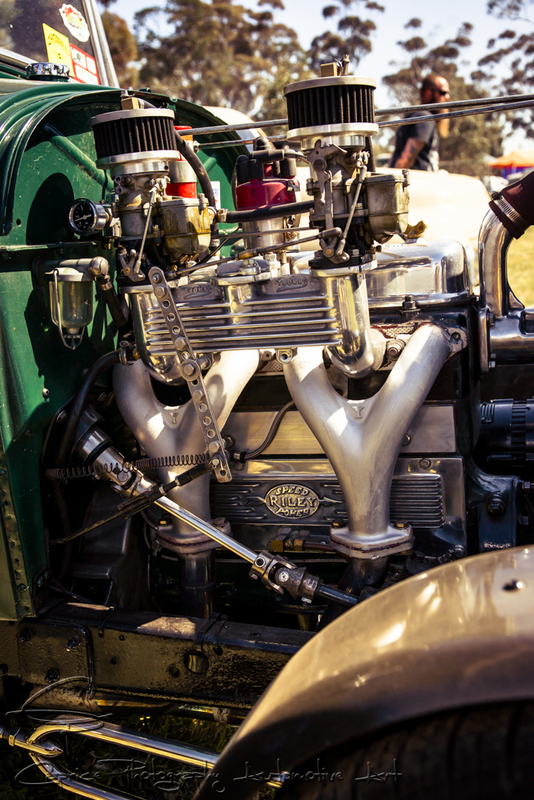 Michael Ahrens made the journey from Adelaide in his 28 roadster running a 255ci mercury with 4/ 97s and Celica 5 speed and has been on the road since 1999. Mira Mae adding a touch of Latina beauty to the Smiths Concept wildly customised 1930 chopped and channelled Tudor. Miss Sandra Horne as seen in Cruzin issue 178 was found adding a touch of elegance to the dusty festival. Lisa Cameron, Nicole Gore and Erin Caligari drove from Ballarat in Lisa’s mildly custom 65 impala and has owned it for 6 years. Dani Habict and Max Mckinnon travelled from Newland to take in Chopped with their one lady owned, nicely patinaed 1960 Xk falcon which they have had for 5 years. Emily Harris, Teresa Dixson, Rebecca Trollip and Jess Aspury travelled from Phillip Island to introduce Chopped to Daughters Of Doom! Salt flats identity, Al Fontain transplanted the 800hp 520BB from his belly tank into this 1928 Roadster for mud racing entertainment.